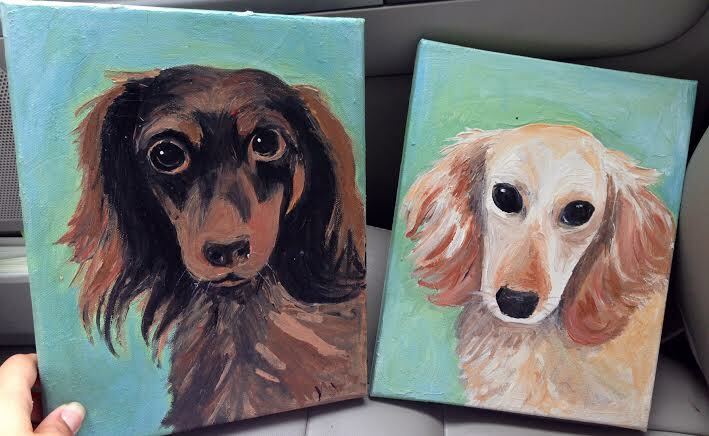 Did I mention we do pet portraits? And yes, if you love your dog/cat/horse/hampster/younameit, as much as we love our children (Huck & Pippa) a portrait of them is completely necessary. Aren't these babies adorable? They belong to our new friends we met at the farmer's market, Mary Margaret and Kenny Byrd (shout out to our biggest fans)!